When Rachel Snyder’s grandmother insisted they spend her birthday in their hometown, Rachel realizes she must return to a place she swore never to step foot in again. After all, the town had sent her father to prison and her and her mother packing. Sheriff Lucas Quinn has waited eight years for Rachel to return to Rainwater, Texas and he’s not going to miss the opportunity to get her back into his empty arms and his heart. Even if it means bending the rules a little to get to the truth. As Rachel and Lucas set out to prove her father’s innocence, will love find its way back into their hearts? Will the truth destroy them? Can love survive all this time? Are they destined to be together forever? Fear The Storm is a fantastic second chance romance with a twist of suspense by Geri Foster. Ms. Foster has delivered a well-written book and furnished it with a stellar cast of characters. Rachel is returning to Rainwater after being away for eight years. Lucas turned his back on Rachel when it mattered most and now that she's back he wants her to stay. Lucas and Rachel's story is loaded with drama, humor, action, suspense and spice. 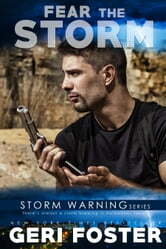 I enjoyed reading Fear The Storm and look forward to reading more from Geri Foster in the future. 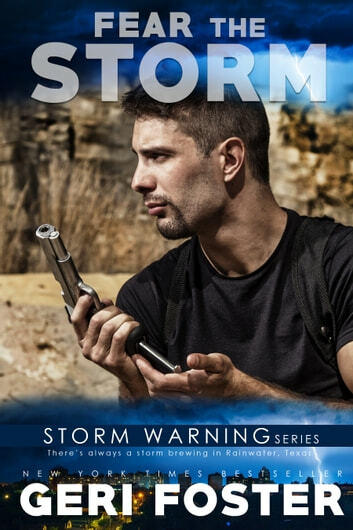 Fear The Storm is book 1 of the Storm Warning Series but can be read as a standalone. This is a complete book, not a cliff-hanger. I voluntarily read a complimentary copy of this book that I received from Bookfunnel. All thoughts and opinions are my own.